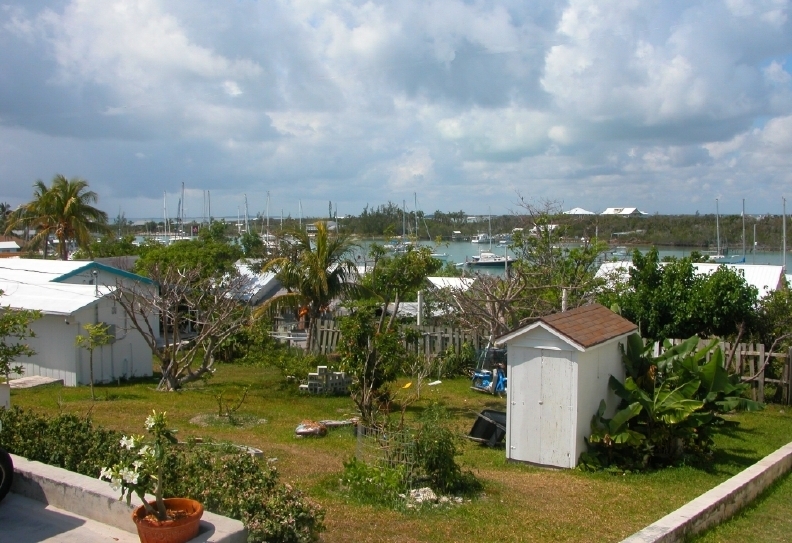 Just south of Guana Cay is private Scotland Cay with it's lovely homes, marinas and airstrip. 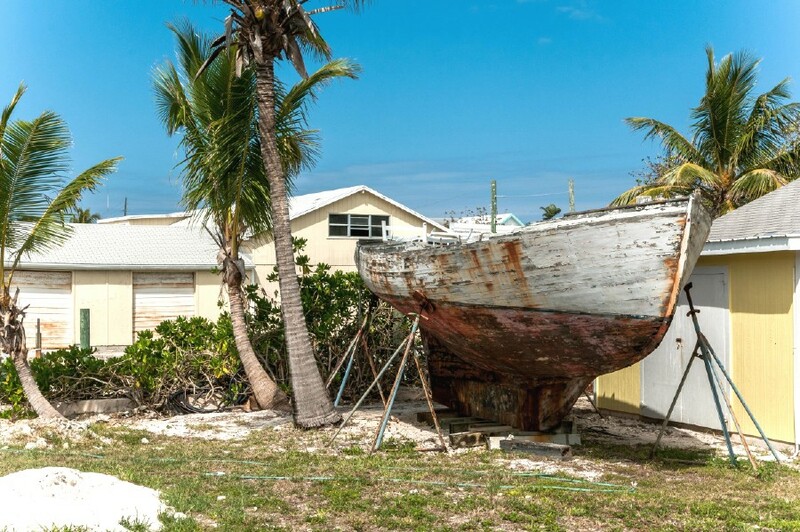 It seems almost attached to Guana Cay and is only separated by a narrow creek which is hardly noticed when passing in your boat. There is nothing here for the public. 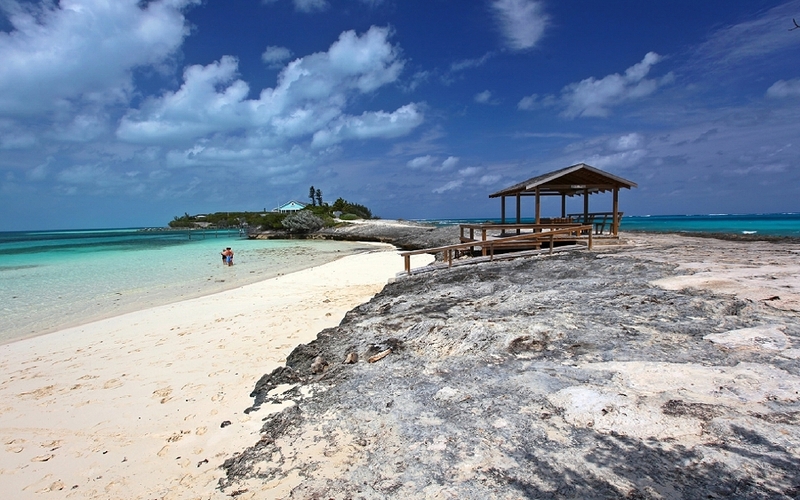 Man-O-War Harbour is protected by Man-O-War Cay on its ocean side and the smaller Dickie's Cay on the Sea of Abaco side. Island life lies mid island on Man-O-War. An opening in the southwest permits access to the harbour. Once inside, turn north. 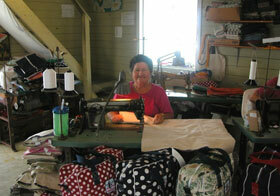 Man-O-War Cay is a busy boat building island of God fearing (no alcohol sold on this island), hard working folks. This is the island of the Alburys, 70% of which can trace their ancestry to the first Albury who settled on this island in the 1870's. Ironically Man-O-War is typically the island most overlooked. 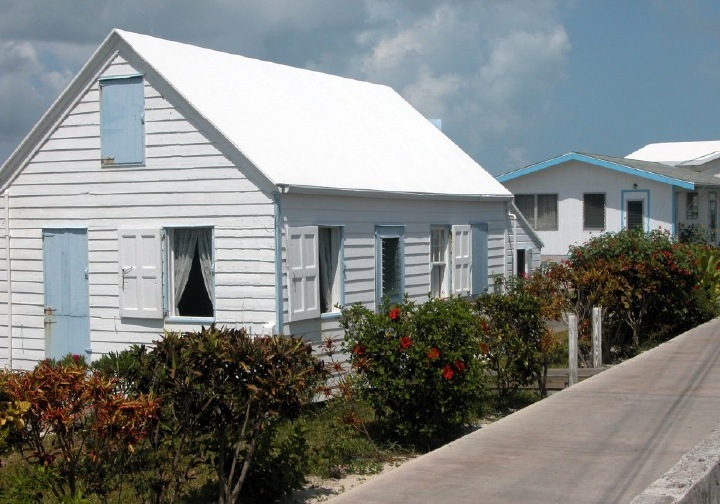 Offsetting that fact, was the recent opening of the island's new Heritage Museum and associated Heritage Festival. Check their website for more info and the incredible Albury Family Tree. 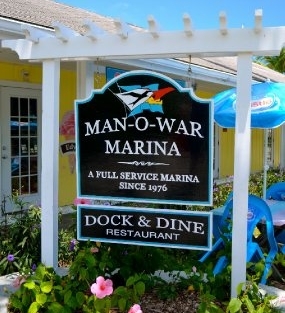 Man-O-War is a great spot for all kinds of quality boat work and parts. No yachtsmen should miss it especially if in need of repairs. 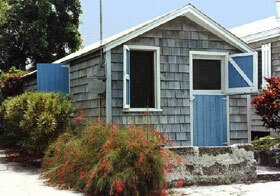 It's the home of Albury Brothers Boats, the quality boat built for Bahamian waters and used by many rental agencys. They also export. 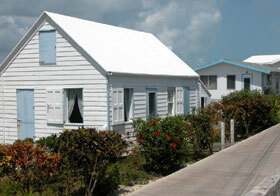 On Man-O-War restaurants and lodging are sparse as compared to the other cays. Still, rental homes and cottages are available on M-O-W from Schooners Landing, or from Water Ways Rentals. 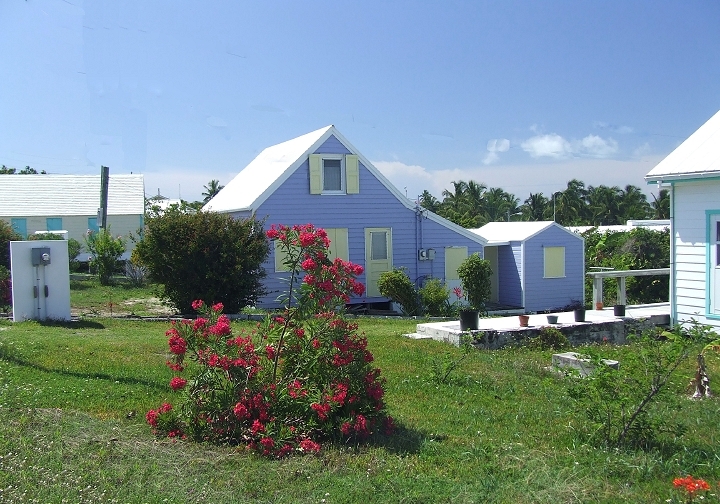 And as the name might imply, the latter also rents boats, which they will deliver to you at neighboring cays. Man-O-War is a quiet island but still an island not to be missed if staying at one of the neighboring cays. The islands center of activity is the M-O-W Marina adjacent to the Albury "ferry depot" and the Dock and Dine Restaurant. At the northern end of the harbour road you find The Albury's Canvas Shop, AKA Sail Shop, it is the place to see. Here you'll find three generations of town ladies making all sorts of bags and hats out of canvas traditionally used for sails. Despite elementary craftsmanship, they keep up with fashion of the times, as do their prices being more in line with Gucci, Lauren or Prada. 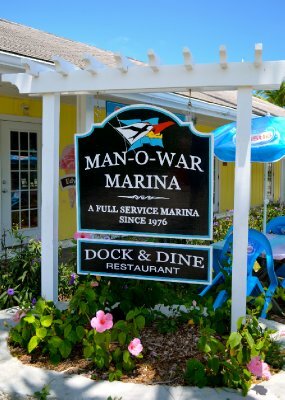 It has always been the main event on M-O-W turist map and a worthwhile stop if you're enroute between Hope Town and Guana Cay. Restaurants were in short supply until the opening of the Dock and Dine Restaurant, by Joshua Malone and family. They are now serving dinner seven days a week and lunch, (Mon - Sat). They can be reached at 365-6139. Also on the premises is longtime favorite "Island Treats." It has been recently renovated and is strictly an ice cream parlor and snack bar. Aside from the aforementioned that leaves the not to be over looked, Hibiscus café. Ask any islander where they're located. You wont be more than 100 yards away. 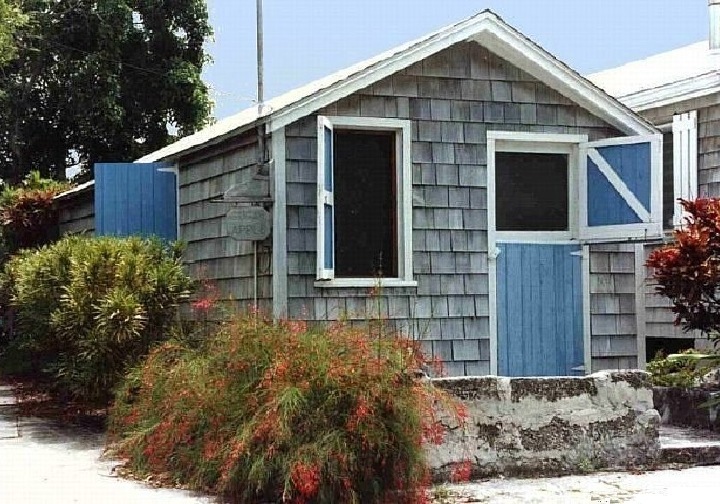 Before you go to M-O-W, you might want to check the website of Edwin's Boat Yard for his map of the cay and a little island history. The path doesn't stop here. Keep going and you'll see some spectacular homes. Some years back we even saw a home with its own hedge maize which we viewed from one of It's two guest cottages at a higher elevation. Then we discovered another house on what seemed to be a half dozen immaculately manicured acres. The house had to have 12 rooms on the highest part of this northern precipice plus a guest house and a gazebo over looking the sea. A later observation by boat showed both these houses to have their own beaches and marinas sliced out of the limestone rock. Each one was able to accommodate 3-4 boats! We later heard, a chief executive of the Ritz Carleton owned the larger estate. Oh, For scuba divers; In 1862 the USS Adirondack, wrecked on the reef just northeast of Man-O-War. It's a popular tour with most Abaco dive shops. One of their cannons from the wreck was salvaged and is mounted in front of Joe's Studio.